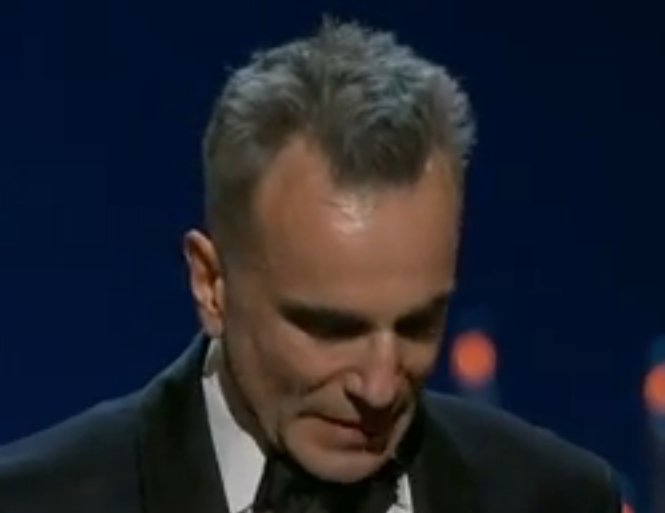 Last night Daniel Day-Lewis won his third Oscar for playing Abraham Lincoln in "Lincoln". No other man has done so - but some ladies have. And one was on stage with him. Meryl Streep who won her third Academy Award in 2011 for her role in "The Iron Lady" as the U.K.'s Prime Minister Margaret Thatcher (Katharine Hepburn has won four). When Mr. Day-Lewis made a joke about himself playing Thatcher, he looked down for a moment and simultaneously displayed a nonverbal "Microexpression of Fear". This can clearly be seen at the 0:29 second mark in the above video as he flashes the "Mouth of Fear". While microexpressions are not limited to fear, it is one of the most common emotions "leaked" by these very evanescent nonverbal signals - and probably the easiest for most people to spot. This is a fantastic demonstration, that no matter whom you are - and while Daniel Day-Lewis is considered by many one of, or perhaps the greatest actor ever - the primal and absolute nature of body language will always betray one's true emotions - which very often are contradictory to the spoken word.